Fun Toys for Busy Boys - Create. Play. Travel. 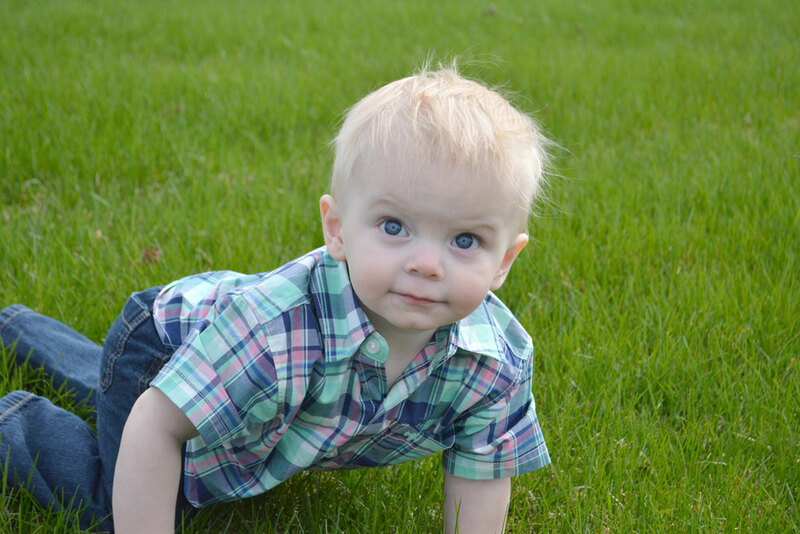 As soon as my little guy started crawling, his enthusiasm for going on adventures took off. 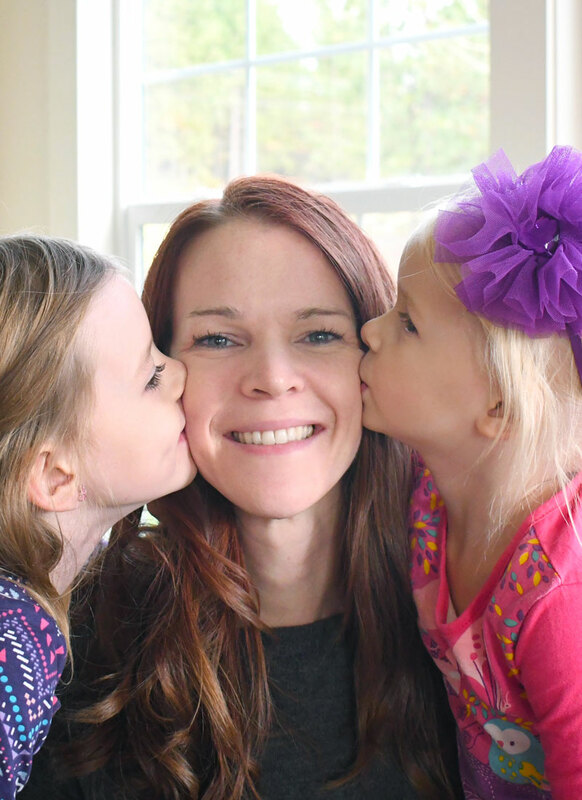 My two little girls keep me on my toes, but my little boy wants to constantly climb, scamper and explore. Keeping him out of the street was a full time job before we moved to a house with a fully fenced yard. Boys also play differently than girls — they like to crash things together, throw their cars, and figure out how their toys work. Here are some of our favorite toys and activities that are especially interesting for little boys. 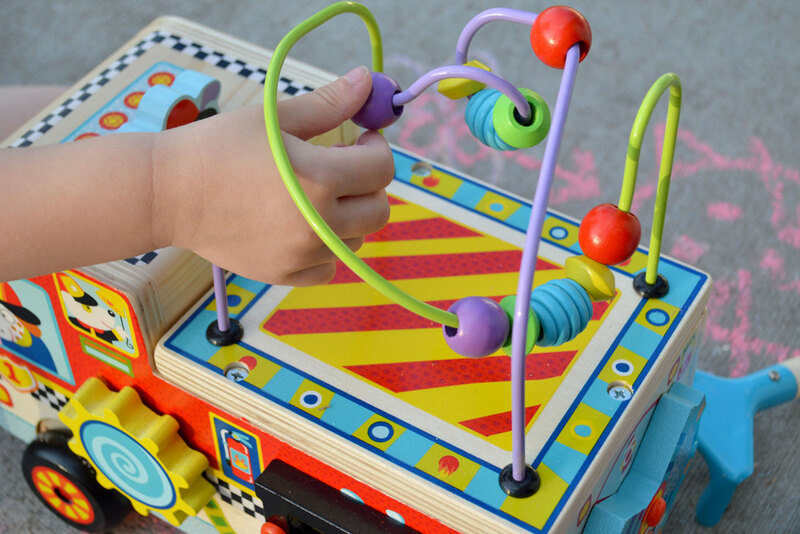 The Sound & Play Busy Table by Alex Toys has everything a tot needs to stay busy learning through play! Recommended for ages 18 months and up, the adorable wooden table includes a xylophone, drum, bead maze, peek-a-boo doors, track-sliders, and spinning gears. The number of activities on the Sound & Play Busy Table encourages children to play together side-by-side, a very important social development skill for children between ages 1 to 3. This toy is also very sturdy. My one-year-old inevitably climbs on top of it at least once a day. The table is 2′ by 1.5′ on top, and is only 8″ off the ground, so it stores easily if you want to keep it put away to decrease clutter. It fits perfectly underneath baby’s crib behind the crib skirt (my favorite place to hide toys when I’m cleaning the nursery). 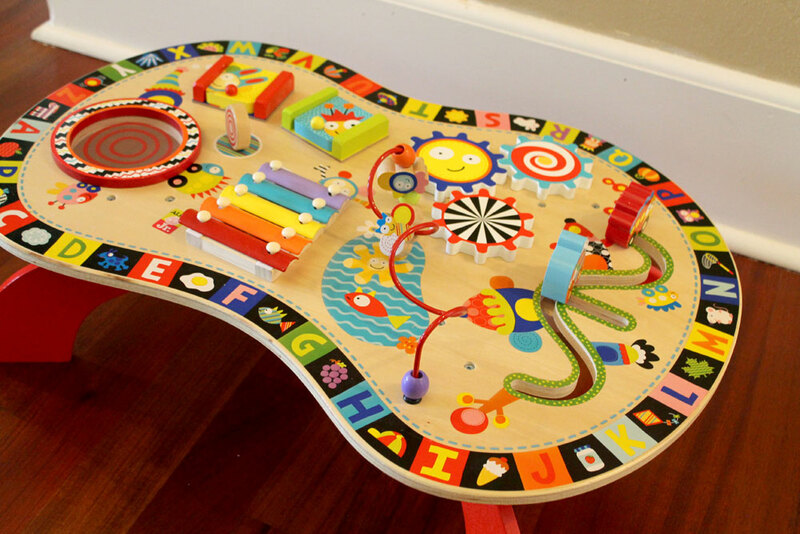 The Sound & Play Busy Table has a whimsical, modern design for a beautiful addition to any playroom. 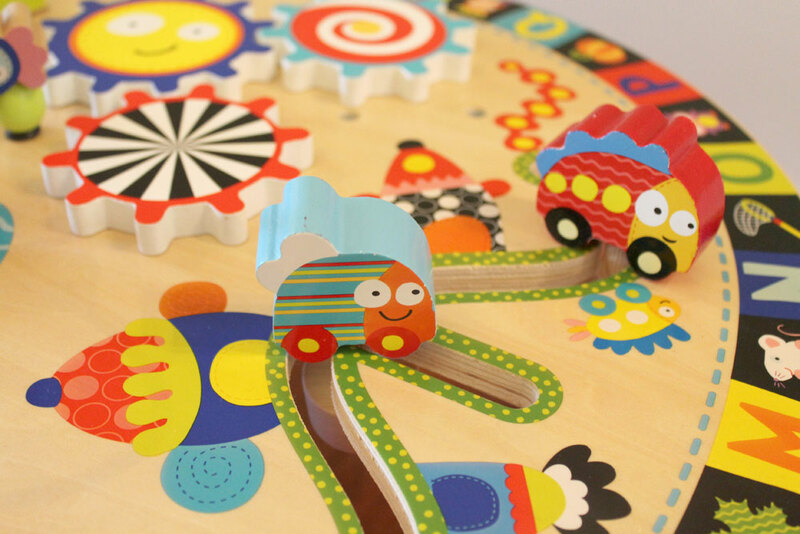 This wooden toy has everything a developing baby needs to keep busy for hours! Kids can pound, slide, peek, explore and make music! 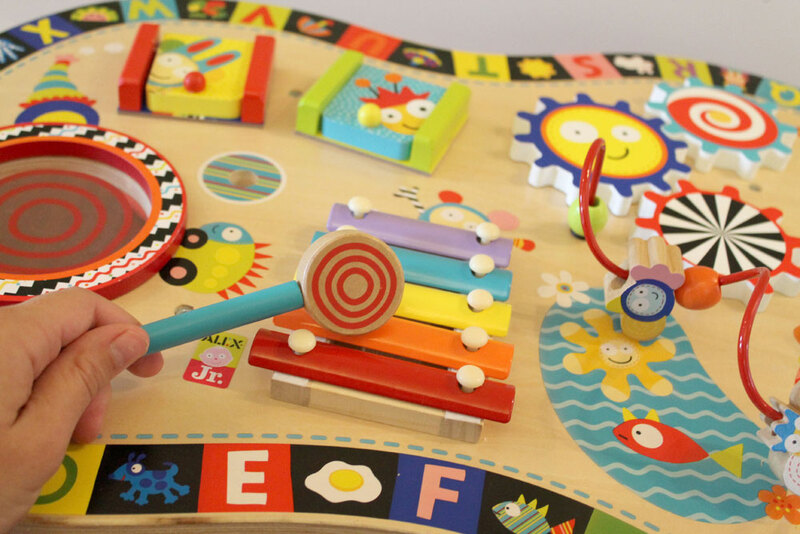 This play table has 8 fun activities including a xylophone and drum! My little guy loves toys that allow him to feel textures and explore the world around him. 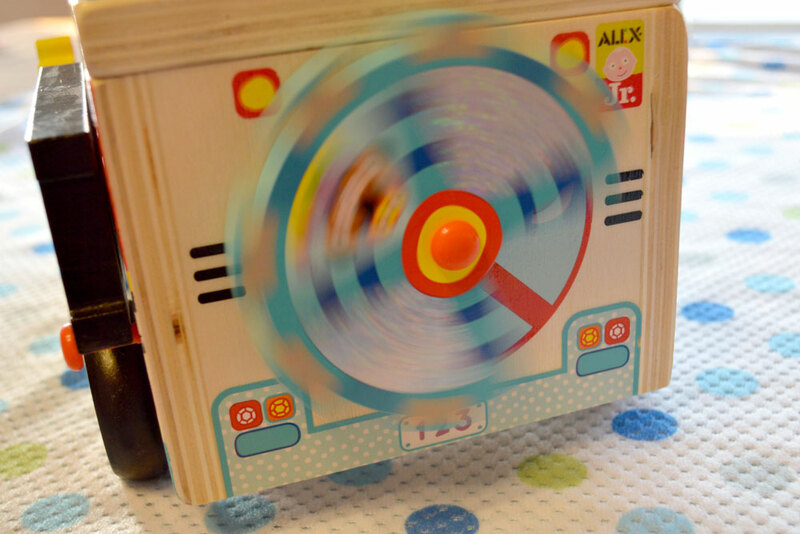 The Alex Toys Busy Fire Truck is another fun toy, offering a new twist to a classic wooden toy! 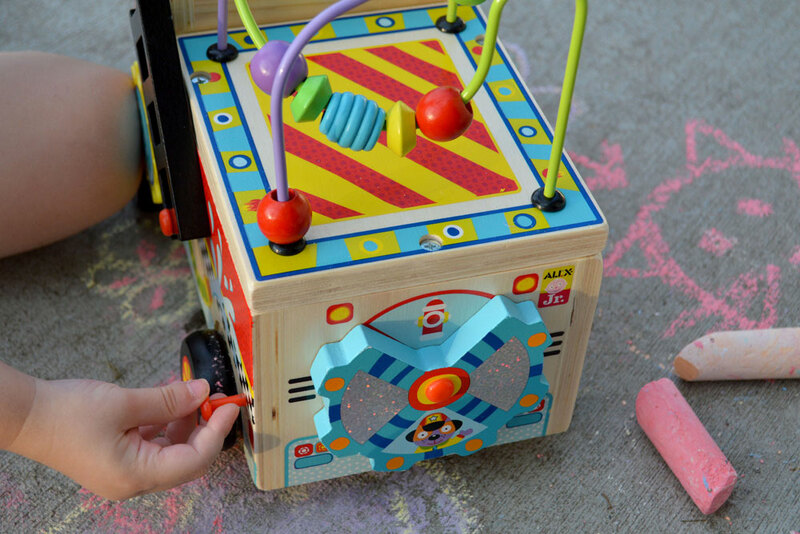 This interactive vehicle features 8 fun and colorful activities on every side, including rolling wheels, a curvy bead maze, a mirror, turning picture tiles, a spinning gear, a movable ladder and a discovery wheel. 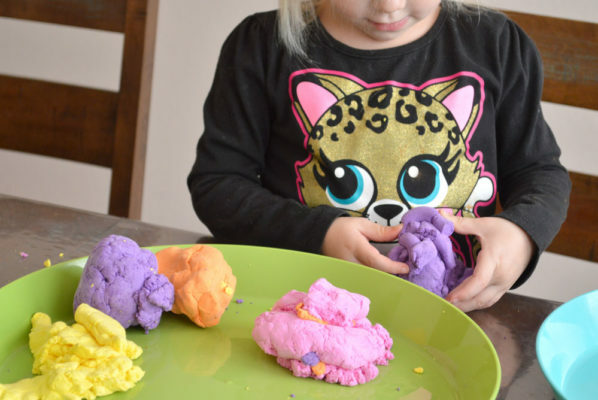 This toy is perfect for little ones to practice fine motor skills and the numerous activities encourage longer attention spans. 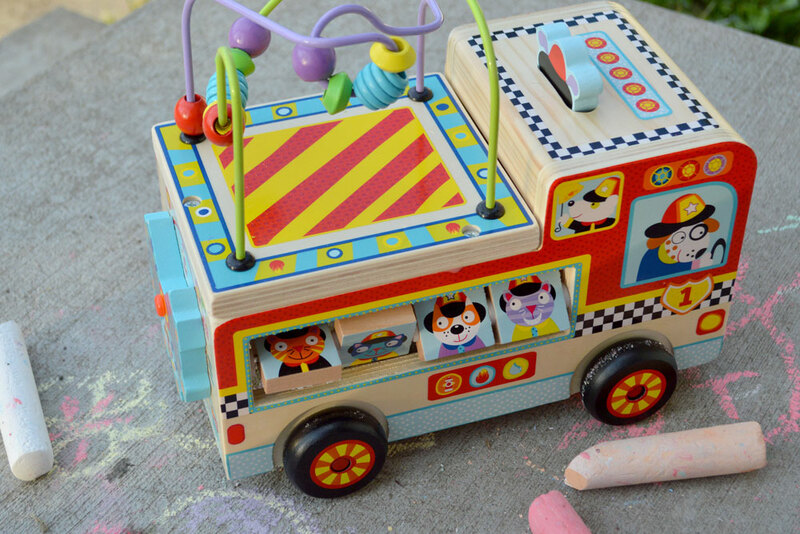 The fire truck is made from durable materials and painted with colorful details. Four cute character picture tiles on the right side turn independently with a gentile touch. The top of the fire truck has a fun bead maze with several colored wires. The beads can also be used for learning colors and basic counting and the fun shapes and ribbed textures are interesting to touch. The back side features a spinning yellow gear and a movable ladder that rotates on a pin. This Busy Fire Truck is a fun and interactive alternative to conventional plastic toys. Since many of the details are painted, there aren’t many decals to peel off, ensuring the toy will last for a long time. The colors, textures, and movable details also make it a lot more interesting than standard push toys. Alex Toys are world renown manufacturers of classic quality toys that inspire curiosity and imagination in children of all ages. 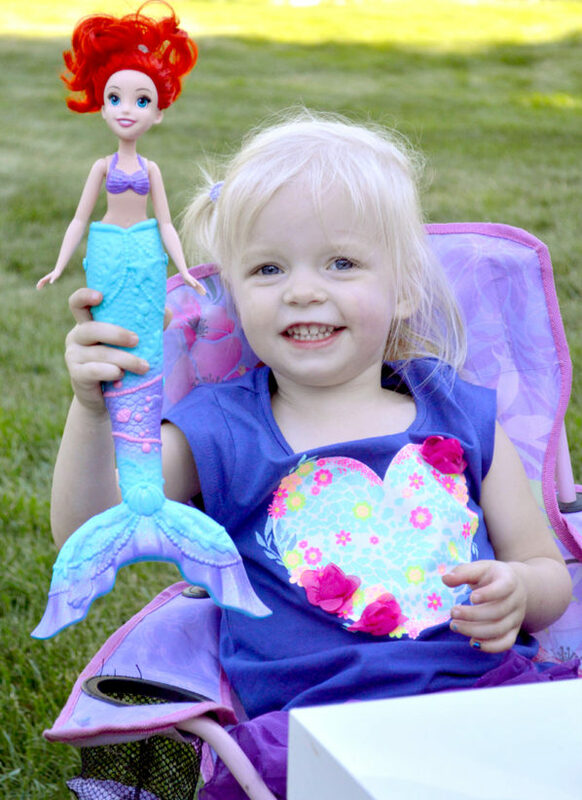 From craft kits and beauty kits for kids to bath time toys and pogo sticks, Alex Toys designs many interactive toys and activities for kids of all ages. Does your child ask for a puppy? These furry friends offer lots of huggable love with none of the work real puppies require. My kids would love to get a puppy someday but our family isn’t quite ready for the responsibility. 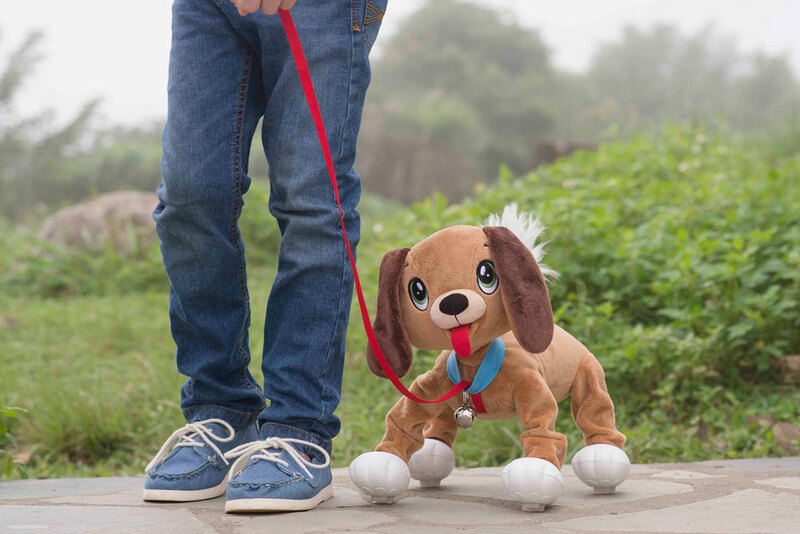 Peppy Pups allow kids to go through the motions of caring for a puppy and they walk just like a real dog! 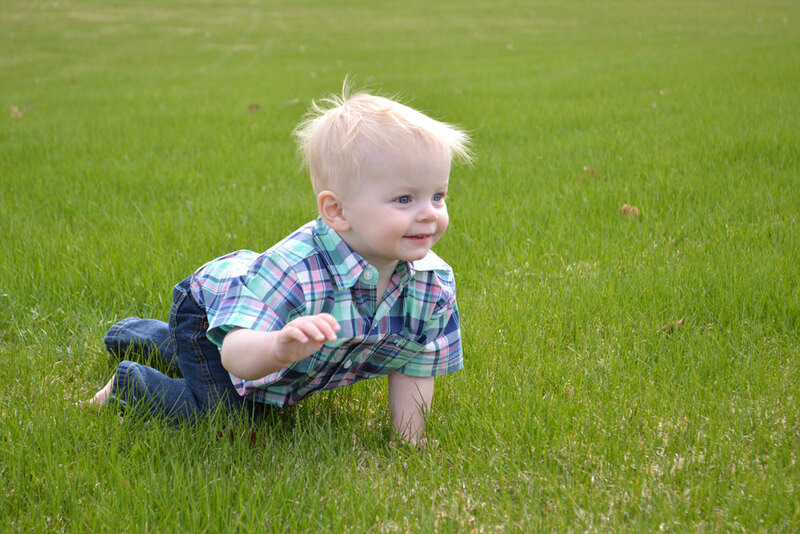 Kids can walk their Peppy Pup around the house, feed them pretend food from a small bowl, and put them down for a nap. This cuddly plush puppy has a spring in its step and when walked by its owner, can run, jump and wag its tail like a real dog. Peppy Pups by TPF Toys are brimming with personality and don’t require any batteries. These fun dogs have ultra-soft fur, distinct paw pads and springs in their feet that help these eager Peppy Pups move and prance, just like a real dog. Peppy Pups bounce, jump and waddle as they go for “walks” with their kid owners, and turn heads as they go. Peppy Pups adore cuddling, snuggles and squeezes, showing characteristics of a real dog that all pet lovers embrace. 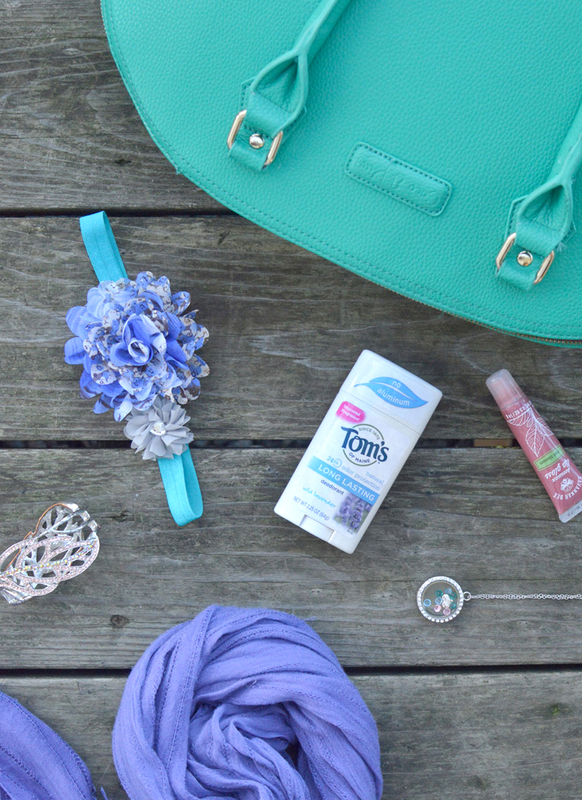 Pick up one of these fun kids’ gift ideas at Toys “R” Us nationwide and Amazon. If your child is a bit older they are guaranteed to love creating structures with Brackitz. 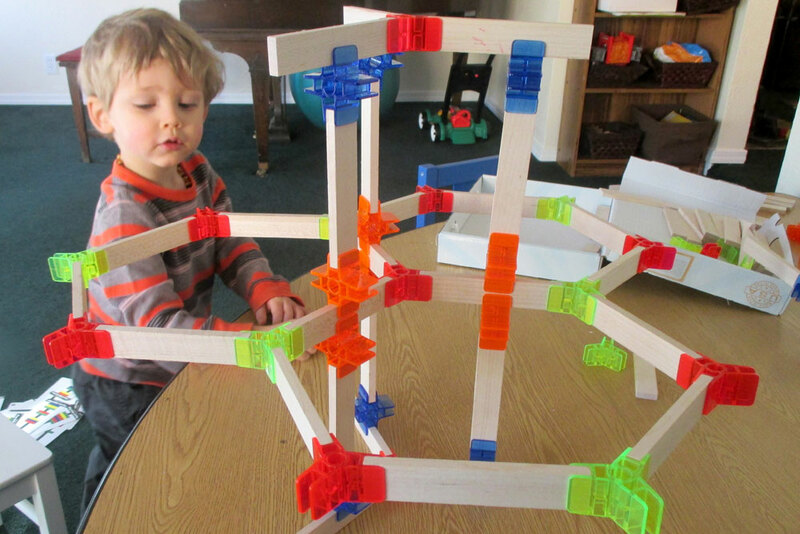 This creative toy is designed to encourage young minds in building and creating structures. 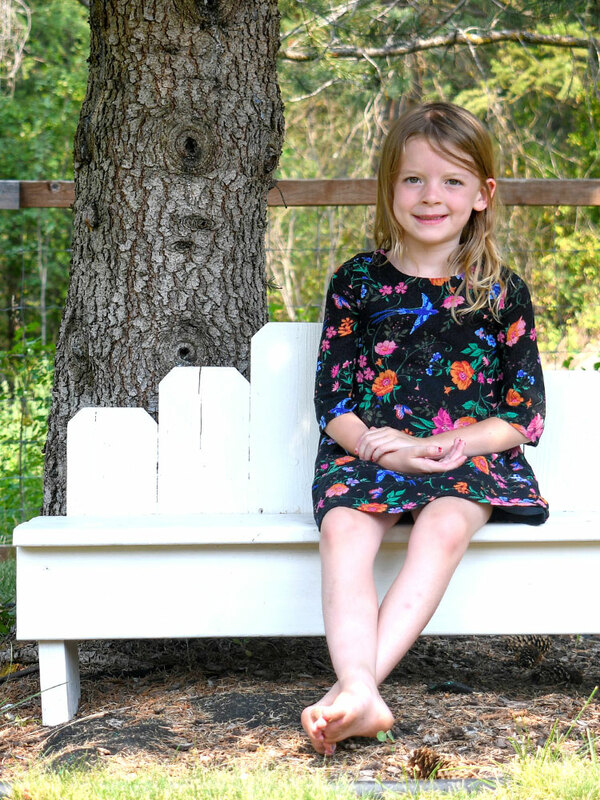 Brackitz are made in the USA and ideal for kids ages 3+. 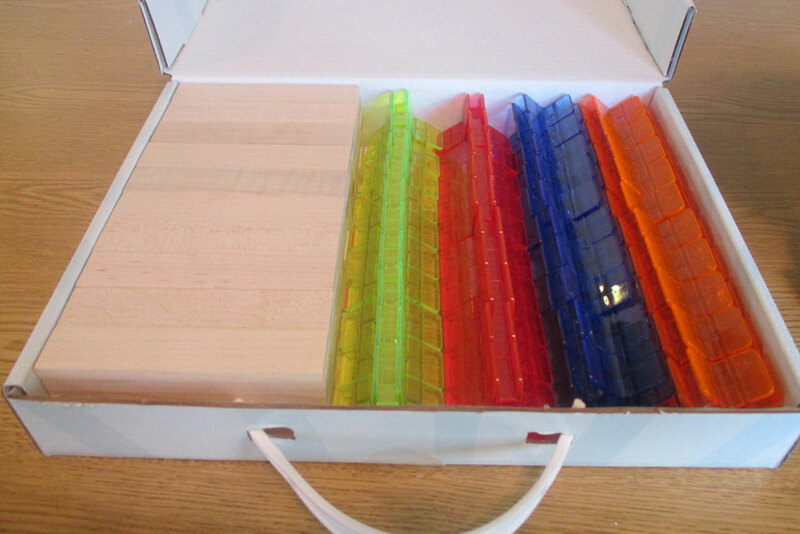 Each set contains high quality wood planks and vibrant sturdy plastic joints for kids to build with. Brackitz building sets currently come in several sizes; a 50-piece Creator Set, a 100-piece Architect Set, and a 200-piece Master Builder Set. We received the Architect Set to try out and our entire family loves it! Brackitz come in a handy box with a handle for easy traveling and storage when not in use. 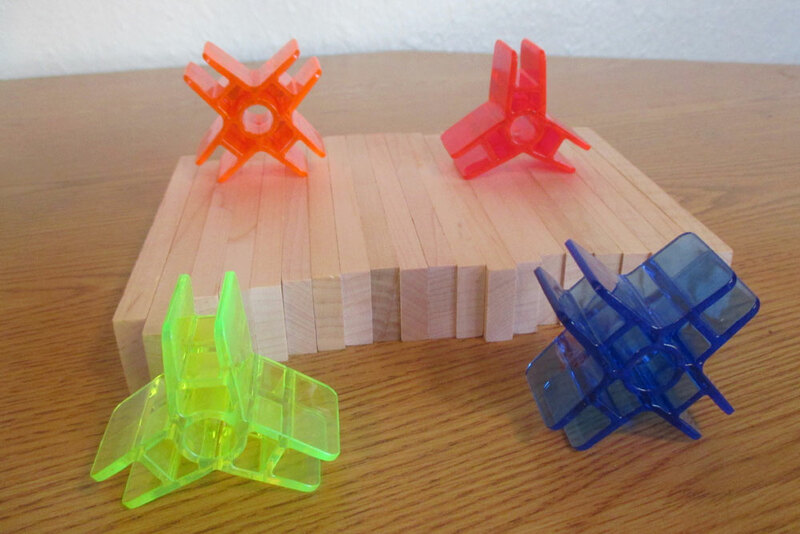 These building pieces are designed very well, whatever we make is very sturdy. We’ve built towers that will not topple unless someone is out to specifically destroy them. Our 2-and-a-half-year-old son loves coming up with creative ways to attach the joints to the wood and build random fun shapes that way. As young as he is, he sometimes has trouble sliding the joints onto the wood, but with a little help from Mommy or Daddy he can design anything. And after a week of having them, he’s getting quite good at building structures himself. Brackitz is a wonderful engineering toy for teaching children the basics of structural design through hands-on training about how a good foundation is important for a strong tower. Our son has been enthralled with this building play set since we’ve received them, spending as long as an hour or more playing with them. As he gets older and more adept at attaching pieces together, his attention span with this toy will likely stretch to even longer. Babies, toddlers and preschoolers can all benefit from interactive play that will develop their imaginations and teach them new skills. My little guy loves emptying my kitchen drawers, building towers, and climbing on furniture. I’m excited to experience each new stage with him! Do you have mountains of toys at your house? I often feel like my kids have more toys than they can possibly play with. 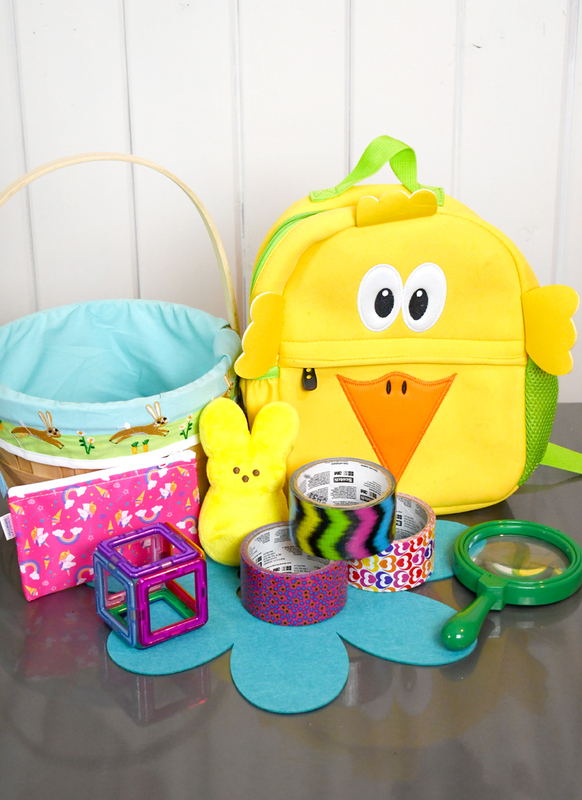 These ideas will help streamline your playroom and organize your kids’ toys. This is awesome! I could see this entertaining my child.. and few things do! This is a cute toddler table. 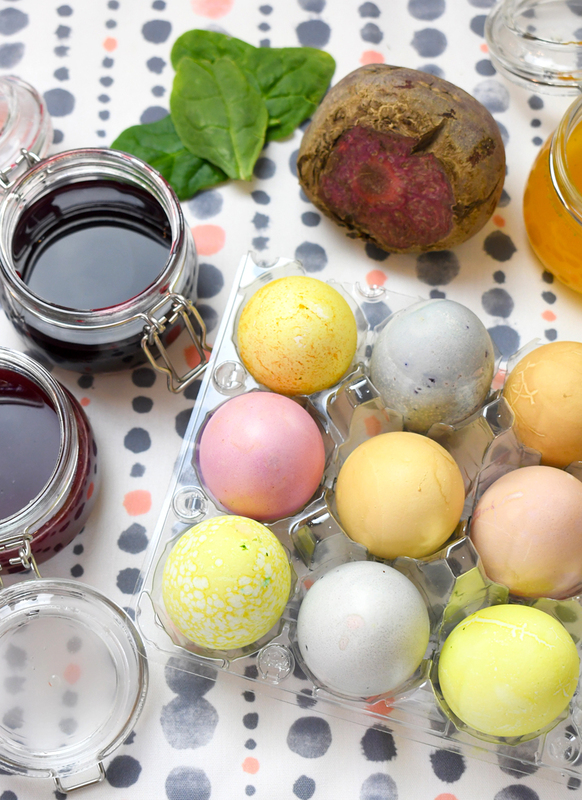 So many activities to entertain a toddler! This truck is so cute. Might just be my first baby toy buy. Such cute toys for little boys! 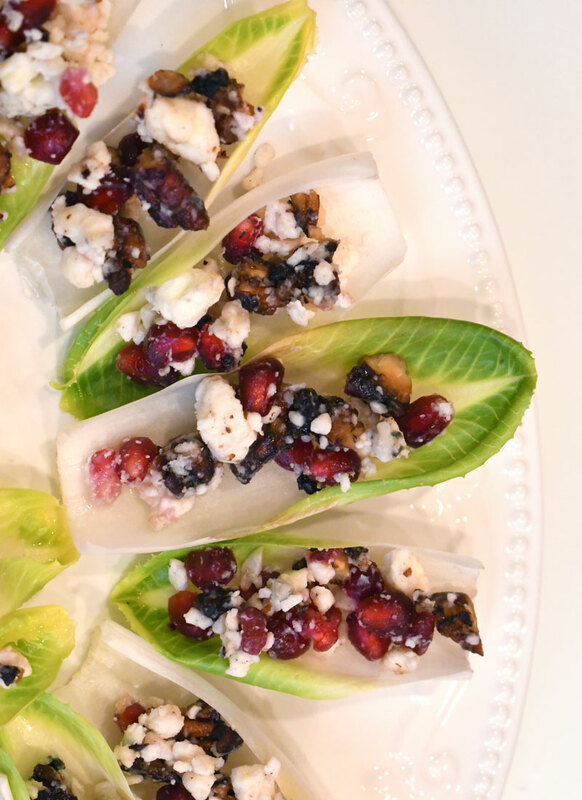 These look like so much fun. I would love to have the Alex Toys for my grandbabies.